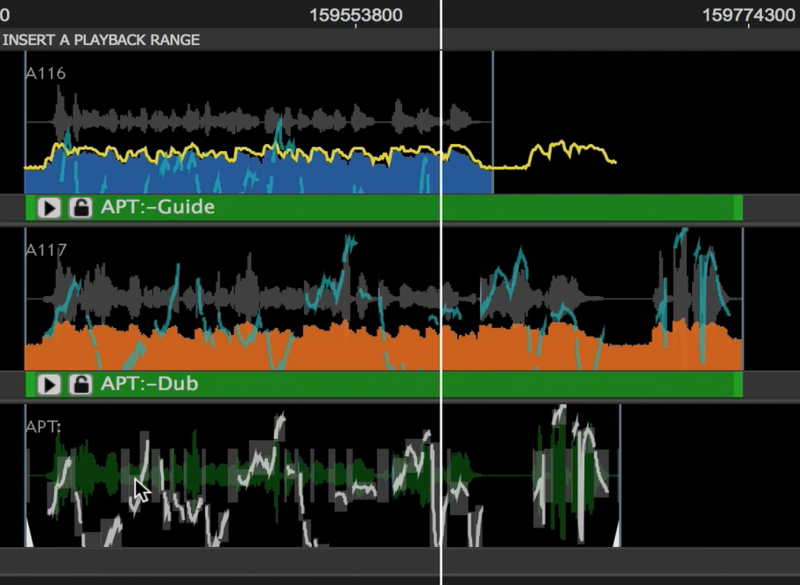 With the Dub track selected apply a Revoice Pro process, such as APT, by selecting New Process in the Process control panel. Further information on applying Revoice processes can be found in the Processes chapters. 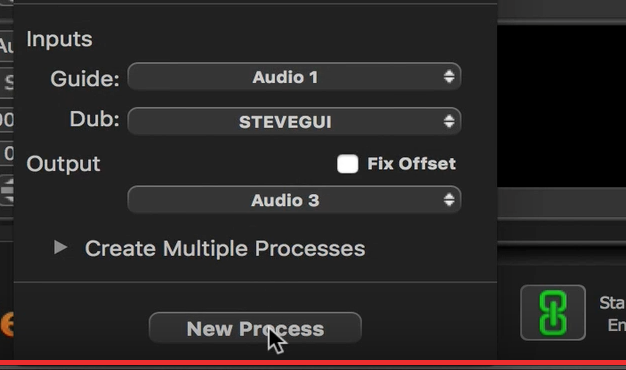 Processed audio will be created on the target Output track.